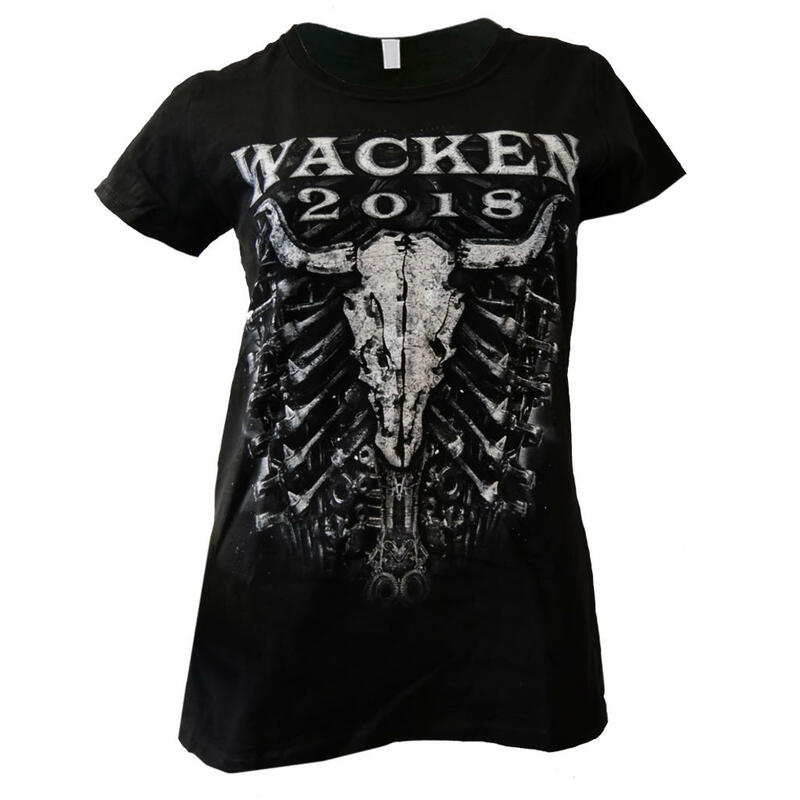 The last official remaining W:O:A girlie T-shirts “Main 2018” are now available at our shop. 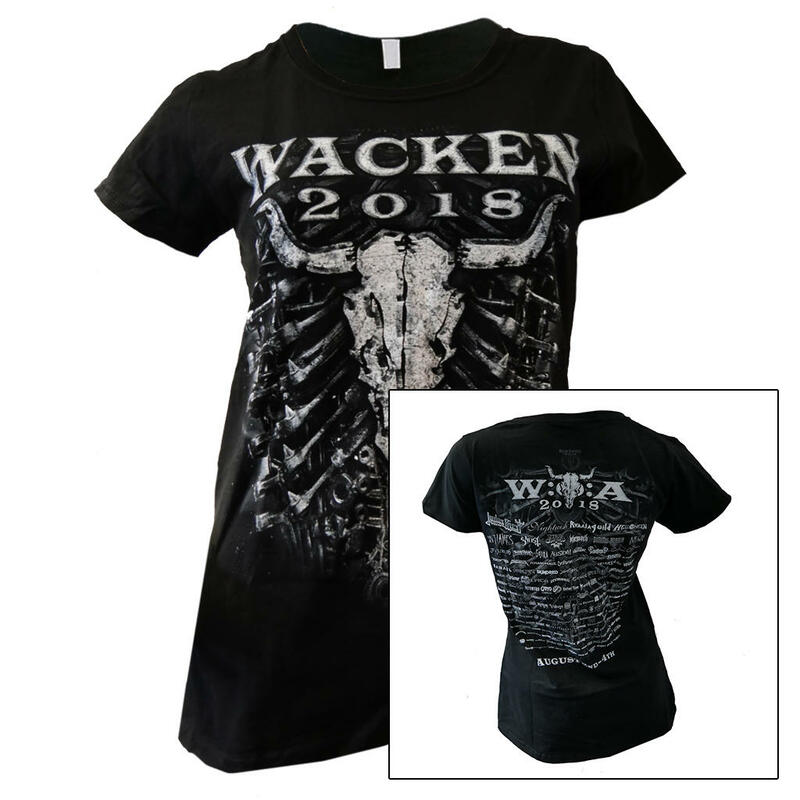 On the fore side is emblazoned on the distinctive 2018er theme in connection with the famous bullhead and a “Wacken 2018” lettering. 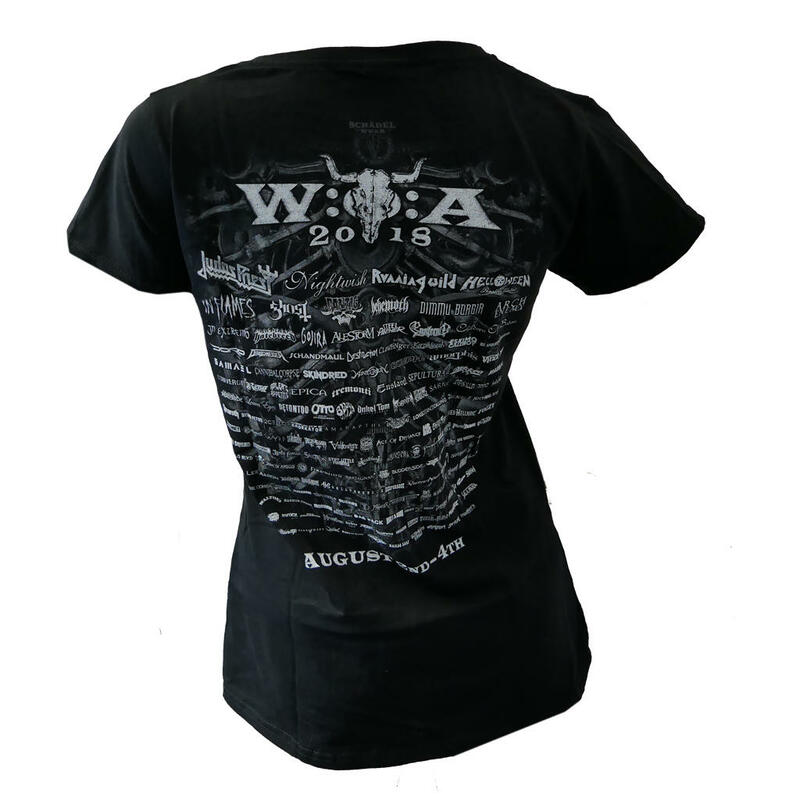 The back side is devoted to all artists who participated at the festival.